There’s a variety of things to consider when pricing a home for sale. When crafting a sales strategy for your home it’s particularly important to properly assess all costs that may lower your final profit and how to avoid or mitigate these costs. 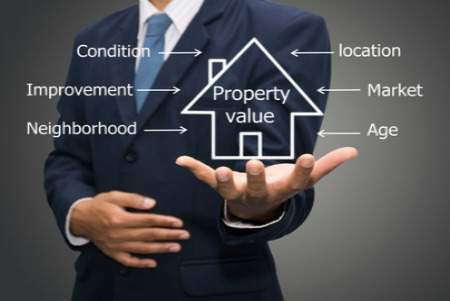 Determining the value of a home, what initial price it should be listed at, whether you should recruit the help of a real estate agent and how you should manage the negotiation process are all important issues that require thorough research and evaluation. When attempting to execute a profitable real estate sale, it’s important to understand the difference between asking price and selling price. Asking price is defined as the amount a seller is asking for a home via the home’s listing. Selling price is defined as the amount a home ultimately brings in from the sale. The selling price can be higher or lower than the asking price. Fully dependent on what happens during the negotiation stage, the selling price can vary greatly. To determine the value of your home it’s important to look at both the quality of the home and the quality of the surrounding neighborhood. To attract the biggest and best audience you must look at all other homes for sale or recently sold in your area. Pricing your home too high above market value will cause it to sit on the market where it could go unsold for an extended period of time. Buyers often get suspicious when they see a home has been on the market for a long time. Pricing your home too low below market value may lead buyers to believe your home isn’t very high-quality. Researching online, in-person and with a real estate agent is the best approach to use when determining your home’s true value and the ideal price it should be initially listed at. Real estate agents are equipped with a wealth of knowledge that can assist your home selling process. An experienced real estate agent can help you understand the difference between asking price and selling price, as well as any other questions you have about selling a home or property. Licensed agents help their customers access data on recent home sales in the area, paving the way for the best possible asking price. A real estate agent can offer a Comparable Market Analysis (CMA) that will give you a variety of useful pricing information. Significantly easing the selling process, a real estate agent performs a variety of activities, including hosting open houses, attracting and working with potential buyers and managing the final sale. Listing your home at the best possible starting price is important. The right price can mean the difference between incurring a significant profit or loss. Take a close look at the quality of your home and the housing market in which it’s located. Your selling strategy should depend on whether your area is mostly a buyers’ market or a sellers’ market. The proper market analysis combined with a final determination of your home’s estimated market value will help you choose your home’s ideal starting price. When shopping for a home, most buyers have a range they are considering or can afford. Properly negotiating with a buyer can increase the final sale price and help you gain as much profit from your property as possible. If your home is located in a hot market, make sure you attract as many prospective buyers as possible. Encourage bidding and have an experienced real estate agent to refine the list price as needed. Though bidding wars can be great for a seller, the highest offer may not be the best offer. Examine each offer and prospective buyer as thoroughly as possible. 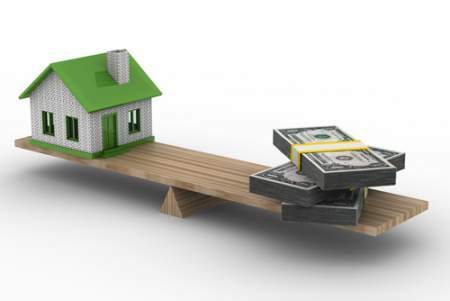 If a prospective buyer is offering to pay more than anyone else, but their financing is questionable or shaky, they may not be the best option to go with. Secure a top offer through expert negotiation tactics, while also securing a backup offer to accept if the first buyer does not work out. To successfully price a home for sale it’s important to acknowledge all costs that can occur from the home selling process. Craft a sales strategy and determine which resources you want to use or hire, as well as an estimation of what costs they will incur, before listing your home or property for sale. Working to evaluate what your home is worth and what it should be sold for, your main goal should be to make your selling experience as efficient and effective as possible.